The growth of Pinterest has been incredible with many people being drawn to it due to its simplicity and easy navigation. Users pin useful information, daily activities, likes or dislikes and share images and videos with people from all over the world. 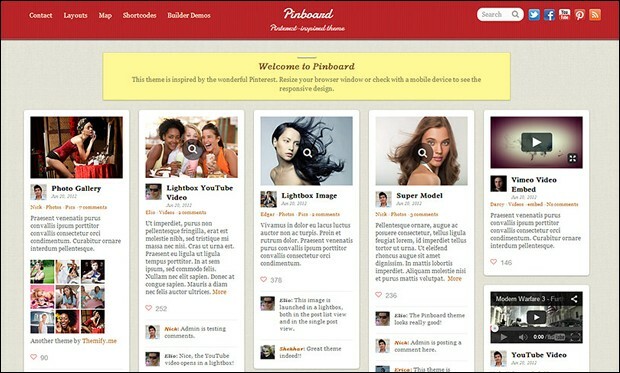 Many Pinterest styled WordPress themes were implemented to capture the real epitome of Pinterest. They feature masonry grid layout including a thumbnail to display featured images with few lines of text. 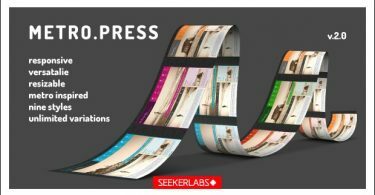 These themes would be a perfect solution for photographers, graphic designers and artists to display their work in a beautiful manner. 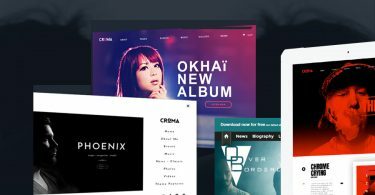 Download any of these WordPress themes to give your site a Pinterest like look and feel in no time. 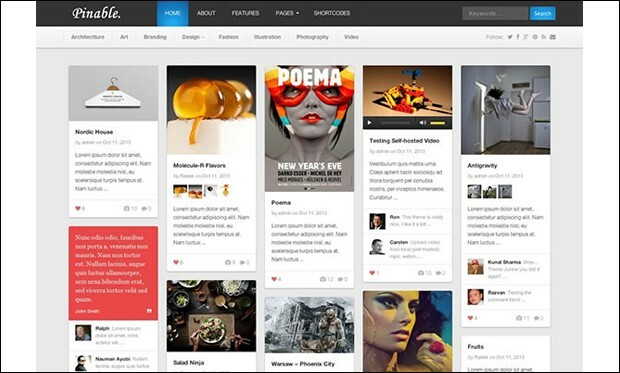 Here is the collection of 25+ Best Responsive Pinterest WordPress Themes for portfolios and photo blogs. 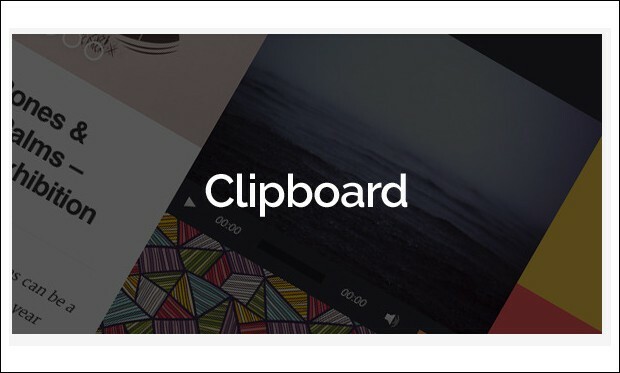 Clipboard is a beautiful Pinterest inspired WordPress theme that comes loaded with simple and easy to use features. You can easily setup and create your own contact form to allow visitors to send query or feedback to the site. 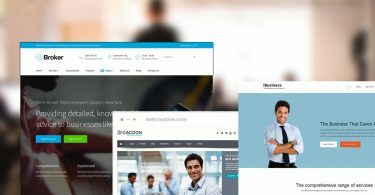 It includes WordPress live customizer for changing different elements of the theme and preview the changes made to the theme in real time. It’s a gorgeous Pinterest styled WordPress theme that comes with 4 colour skins for you to choose from. It includes responsive slider to allow visitors to touch or tap on the sliders from their tablets and mobile devices for navigation purpose. Stay connected with your fans by integrating social icons and share buttons on the website. It is Adsense ready and supports Right to Left (RTL) languages. Pluto is a clean masonry blog WordPress theme that is built using bootstrap 3 framework and coded with HTML5 and CSS3 techniques. You can change colours, fonts, backgrounds and styles using the powerful admin panel. It supports contact form 7 plugin for creating contact forms and customizing the fields. It supports Arabic and Hebrew languages. 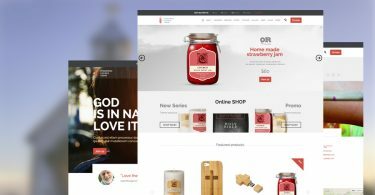 Commerce is a versatile WordPress theme that comes with a Pinterest styled layout for showcasing various products and items elegantly. It is built on the top of rock-solid HTML5 and CSS3 framework. It includes a bundle of PSD files and working Ajax contact form with Google map location. 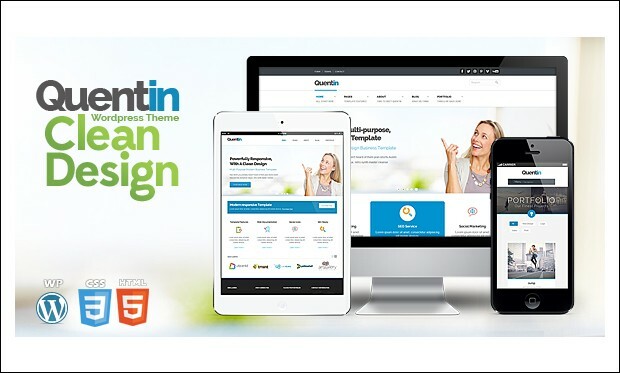 It features responsive layout that looks perfect on tablets, iPhone, iPad and mobile devices. 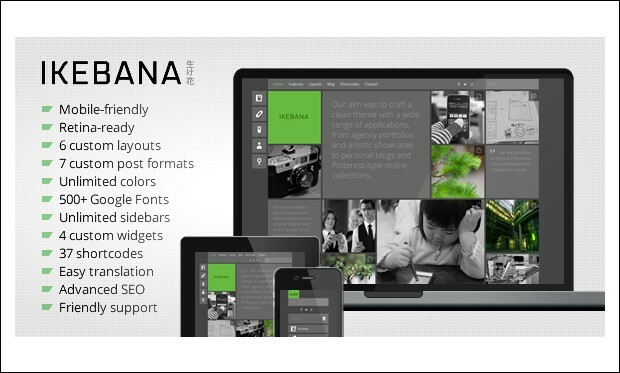 Ikebana is a beautifully designed masonry portfolio WordPress theme that comes loaded with lots of powerful features. This theme is suitable for art showcases, personal blogs, agency and personal portfolios. It supports Google Analytics for analyzing traffic stats. You can choose from 10 masonry blog dimensions, unlimited styles, 7 custom page layouts, 3 post layouts, custom backgrounds, textures and icons. 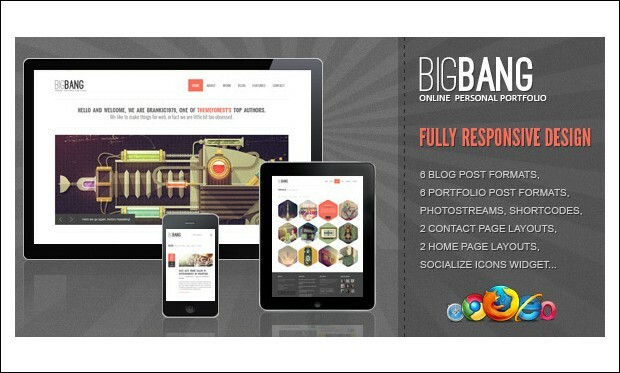 Bigbang is a fully responsive theme that is compatible with the latest version of WordPress. It includes lots of shortcodes like full page photostream for Pinterest, Flickr, Dribbble, Instagram, widget style, sliding graph, columns, buttons, grid, team members etc. Make use of this theme’s HTML documentation files while installing and customizing it. 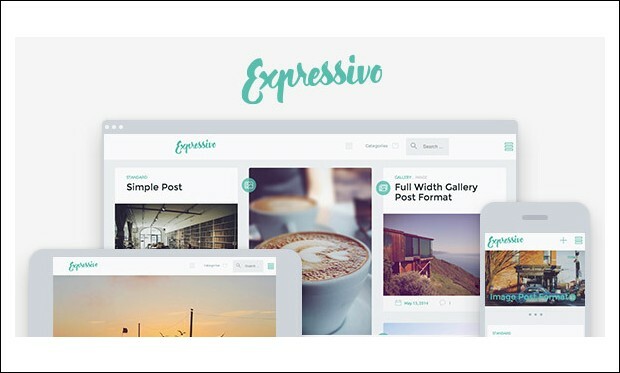 Expressivo is a clean and smart lifestyle masonry blog WordPress theme with 1, 2, 3 and 4 columns. 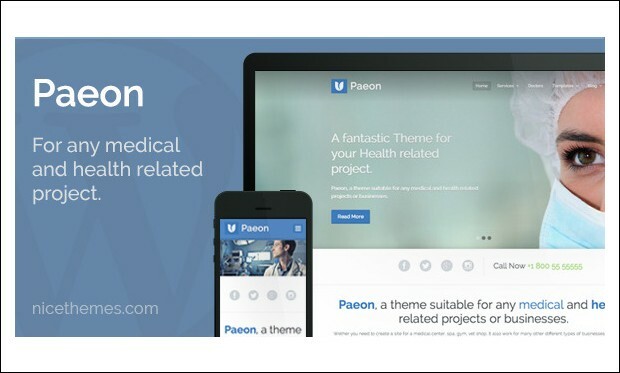 This theme is built on bootstrap 3 framework and child theme ready. It supports contact form 7 plugin to help users build their own contact form and customize it to suit their needs. 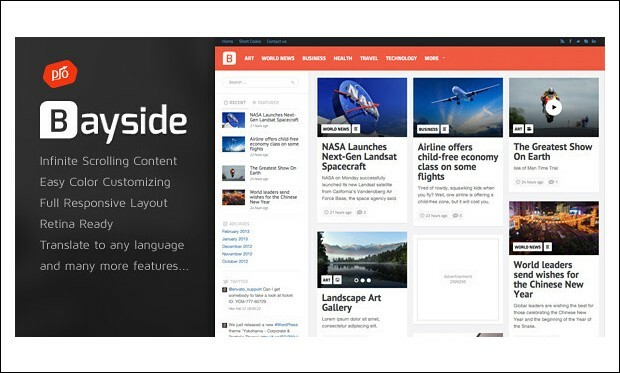 It includes featured slider to let website owners drag and drop the latest posts to display them on the homepage. 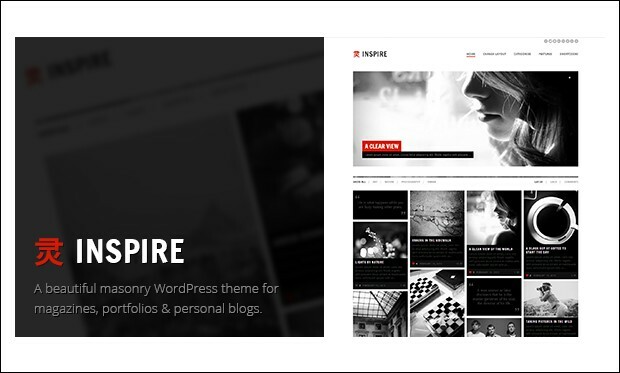 Inspire is a masonry grid multipurpose WordPress theme that gives your website a Pinterest like look and feel. This Ajax driven theme includes filter menu for filtering posts by likes, categories, latest and comments. You can add media such as audio and videos for every post to give your visitors a great multimedia experience. 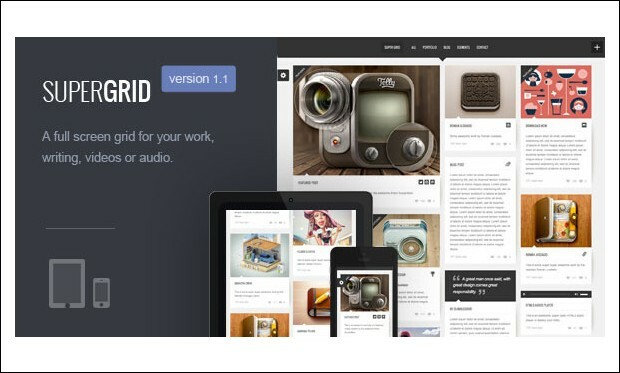 Super Grid is a full screen grid based portfolio and blog WordPress theme that is coded with HTML5 and CSS3 techniques. It comes with a unique Pinterest styled layout to showcase your posts in the most beautiful manner. It includes a fully responsive and retina ready layout to make the theme look awesome on various screen resolution devices. 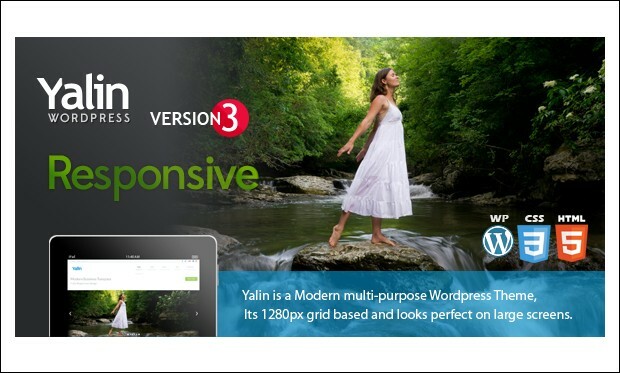 Yalin is a sparkling WordPress theme based on 1280px skeleton grid layout. 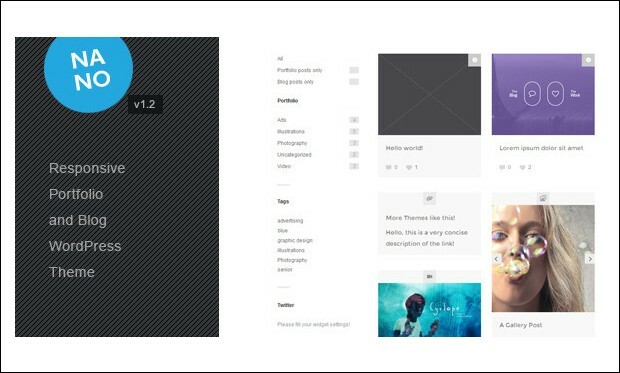 This fully responsive theme looks and works amazing on devices from large desktop screens to small mobile screens. You can use advanced blog and portfolio options like blog Pinterest style and portfolio Pinterest style to attract visitor’s attention towards the site. 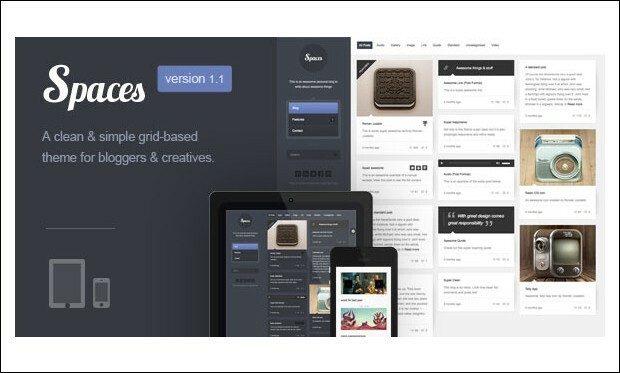 Spaces is a minimalistic designed WordPress theme with grid based layout. It features Pinterest style layout where you can collect and list out things to visually attract visitor’s attention towards the site. 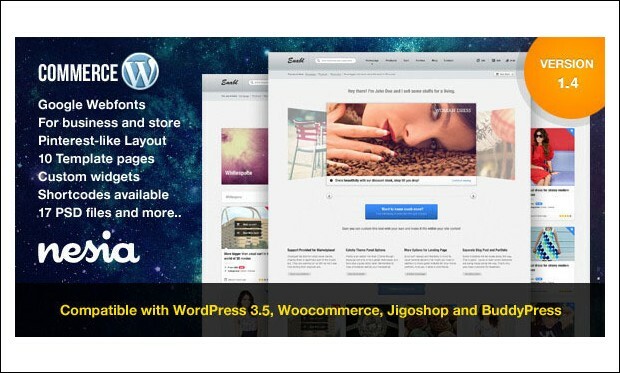 This theme consists of multiple theme options, CSS3 animations and built-in like system. Website owners are provided with amazing customer service to solve their potential queries. 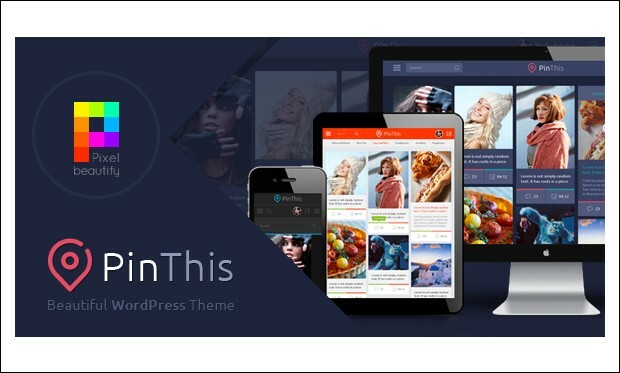 This fully responsive and retina ready WordPress theme includes Pinterest styled infinite scrolling options. It is built with robust HTML5 Boilerplate to secure and future proof website. It is equipped with a detailed help file and video documentation to guide you with proper installation and customization of the theme. It is ready for translation to other local languages. Joglo is a sleek Pinterest styled WordPress theme designed to impress visitors the minute they land on the website. This theme is suitable for creating real estate and other niche websites. It includes advanced search feature to allow customers to search for the desired property by inputting price, type, location etc. Customers can send messages directly to the website owners via contact form. It’s a clean and simple multipurpose WordPress theme with easy to customize options to help users build their own website without worrying much about the coding part. It features Pinterest styled portfolio layouts of 2, 3 and 4 columns to showcase various things elegantly. 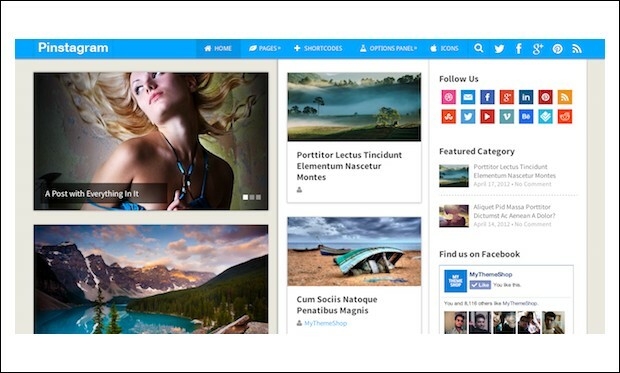 This theme is crafted using HTML5 and CSS3 technologies. It is compatible with modern web browsers. 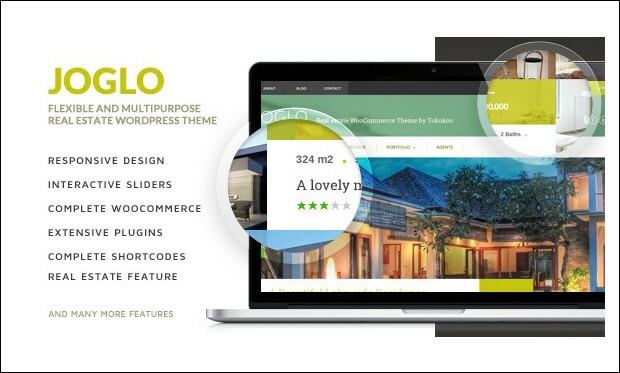 Creolio WP is decent and gorgeous looking WordPress theme with Pinterest styled masonry and isotope layout. You can use full width Google map on the contact page and even change the skin colour of the map easily. This theme looks sharp and pixel perfect on desktop, laptop, tablets and smartphones due to its responsive and retina ready layout. You can select from 30+ social networks pictogram icons in social widget. 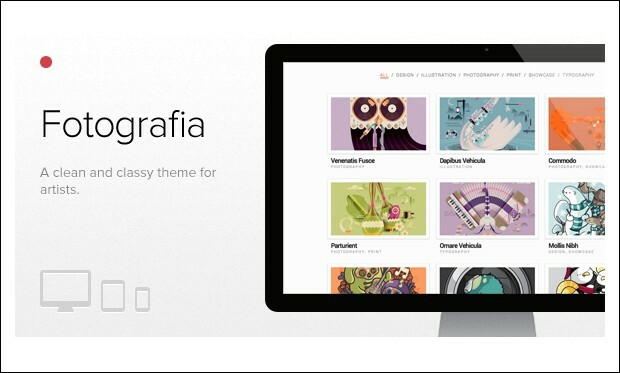 Fotografia is one of the best responsive WordPress theme mainly designed for artists. It comes with visually attractive Pinterest styled blog variations to make your site stand out from the crowd. With WordPress style customizer, you can change fonts, background images, colours etc to suit your needs. It is localization ready for translating posts, pages and other aspects of the theme to any local language. 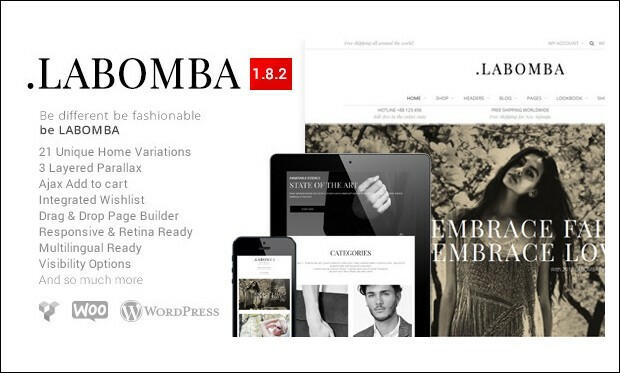 Labomba is a trendy Pinterest like blog WordPress theme that is powered by Ajax. By using drag and drop visual composer, you can build multiple page layouts. It comes with a built-in quick view and wishlist to display products and latest collections effectively. Key features are parallax backgrounds, powerful theme options, off canvas navigation, revolution slider and product zoom. 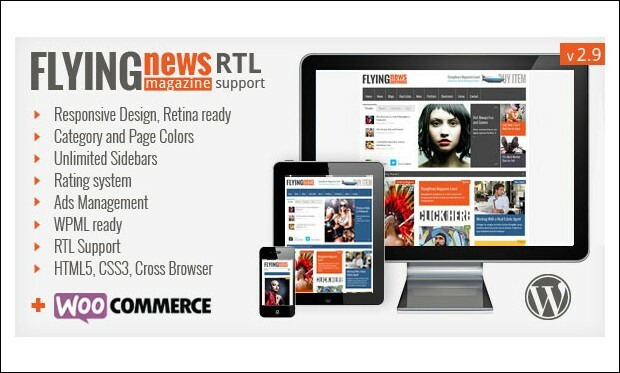 FlyingNews is a fully responsive and retina ready WordPress theme developed with valid HTML5 and CSS3 coding techniques. Install this theme that comes at an affordable price to give your site an impressive Pinterest style look. You can easily manage your advertising campaigns by adding your own banner and using 11 preset ad positions. It is WPML ready and supports Right to Left (RTL) languages. 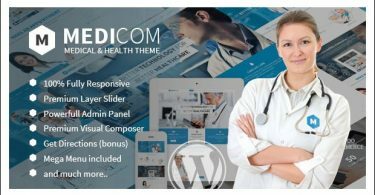 It’s a medical WordPress theme mainly designed for health and medical projects. Install this theme to give your site a Pinterest styled look by using masonry and regular blog layouts. It includes built-in contact form template for displaying your location. With this theme, you can add business hours, services and testimonials to your site. 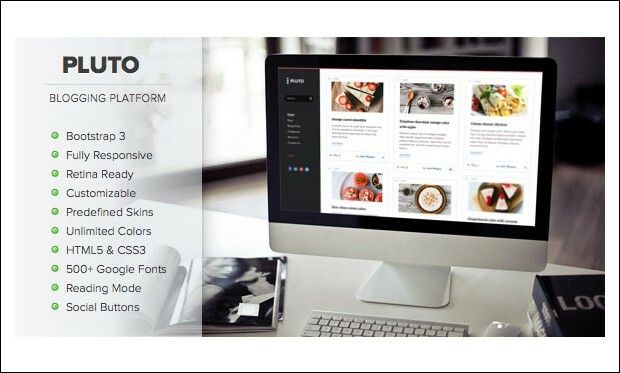 Nano is a responsive portfolio and blog WordPress theme that comes loaded with simple and easy to use features. Download this theme at a reasonable price and start building your own Pinterest styled blog sites. It is compatible with major web browsers such as Firefox, Safari, Opera, Chrome and IE. You can add social share buttons onto posts or pages to enable visitors to share them over the web. This clean and elegant WordPress theme is powered by the Ajax loading feature to load posts without reloading the pages. This theme allows you to connect your Pinterest account with the website to showcase photos beautifully. You can even connect your Flickr account to the site for displaying Flickr photos. It is 100% compatible with WPML plugin for translating the entire site to any local language. 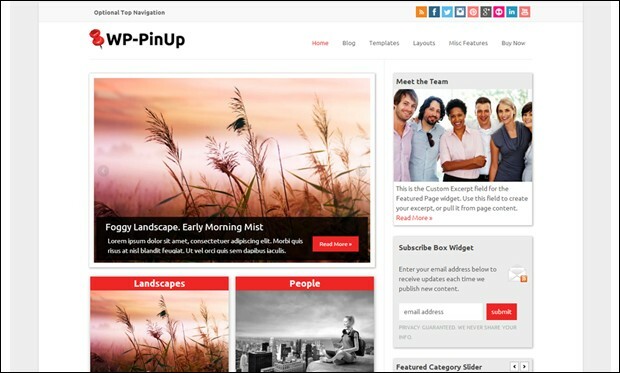 If you are a big fan of Pinterest then this WordPress theme would be a perfect solution for you to consider. It comes with auto stacking layout with infinite scroll options to make your site look similar to the Pinterest website. You can choose from three grid layouts viz small, medium and large for displaying images, videos, galleries and lightbox content. 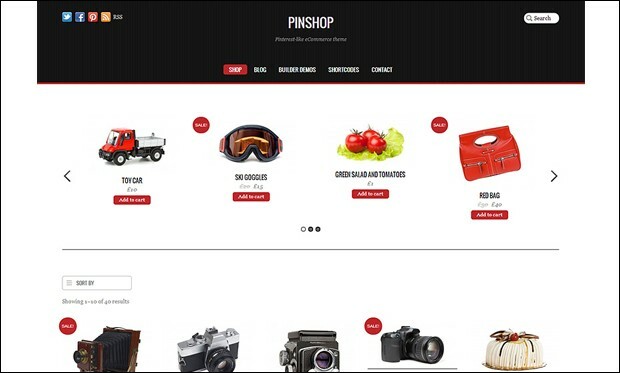 This Pinterest inspired WordPress theme is suitable for creating online store websites. It is compatible with eCommerce plugin and includes Ajax shopping cart to display shop items without reloading the web page. It is coded with HTML5 and CSS3 technologies to ensure future web compatibility. You can integrate social icons for allowing customers to share product pages among their friends circle. It’s a Pinterest like theme that is compatible with the modern version of WordPress. It is built with SEO in mind to improve website ranking as well as its visibility on Google, Bing and Yahoo search engines. You can input data by using various custom post types like audio, video, gallery, quote, link etc. Users are provided with lifetime free support to keep them notified with latest theme updates. 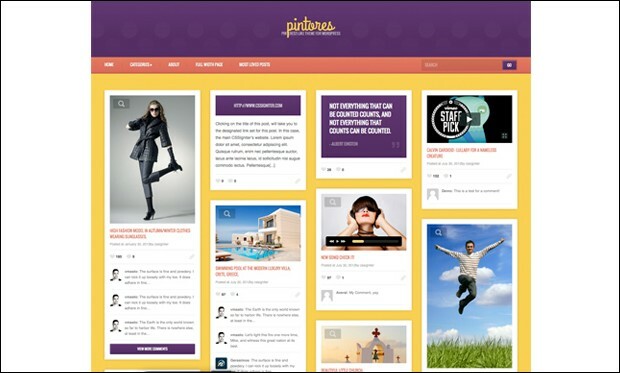 Pintores is a Pinterest styled WordPress theme from CSSIgniter. It comes packed with powerful options to help you with easy creation and customization of the site. 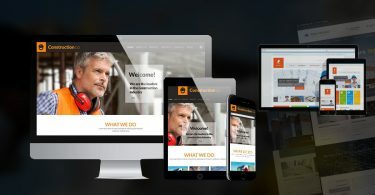 This fully responsive theme is designed to provide visitors a great viewing experience from their tablets and smartphones. It has various post formats to upload music tracks, images, videos, quotes, links, photo galleries etc. This premium Pinterest inspired WordPress theme comes with a grid layout to display long list of posts of different sizes. Customize the theme by choosing from unlimited colour schemes, Google fonts and unlimited backgrounds without any coding knowledge. It lets you to insert different social sharing buttons of Facebook, Twitter, LinkedIn, Pinterest, YouTube, Vimeo etc. 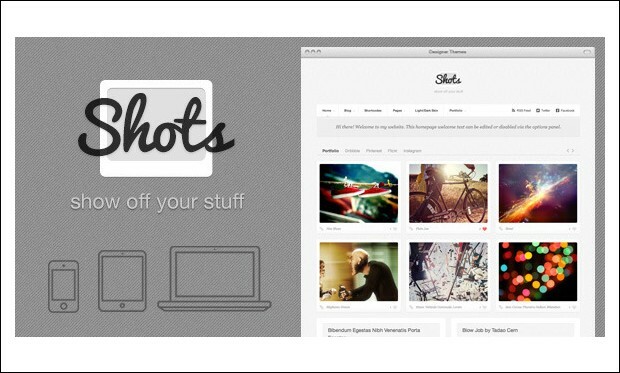 Shots is a beautifully designed WordPress theme crafted using the latest CSS3 and HTML5 techniques and SEO best practices. 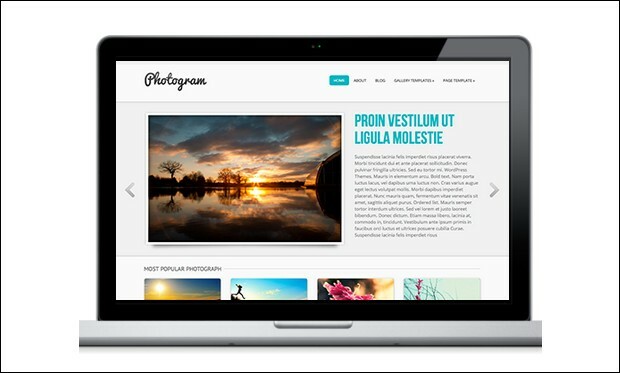 With this theme, you can connect to third party websites like Pinterest, Dribble, Instagram, Flickr etc. You can also get access to detailed documentation and theme support for solving your potential queries. 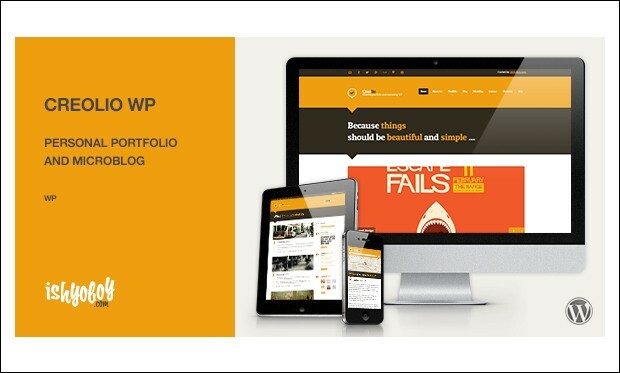 WP-PinUp is a flexible WordPress theme optimized for all mobile devices. It comes with a Pinterest like layout and allows you to set the number of posts that you want to showcase on your homepage. You can even include banner ads, images, videos, excerpt, date and post title. It supports integration of Contact Form 7 plugin to help you build your contact form and customize the fields.